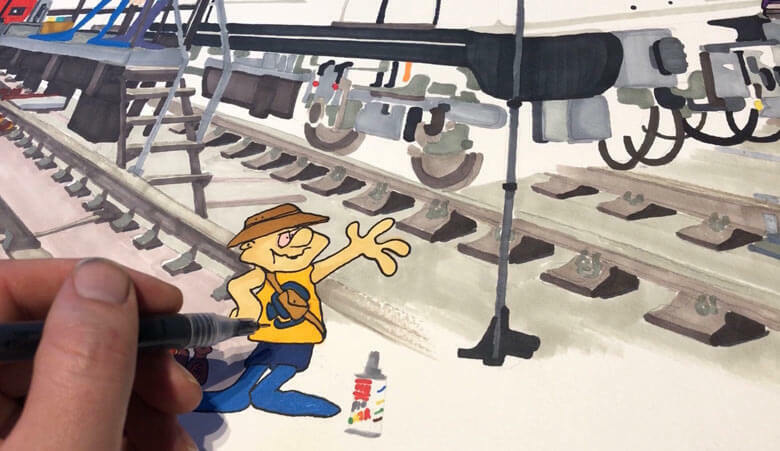 You probably saw a sensational illustration by Vents137 dedicated to Barcelona on the Montana Colors Instagram page. 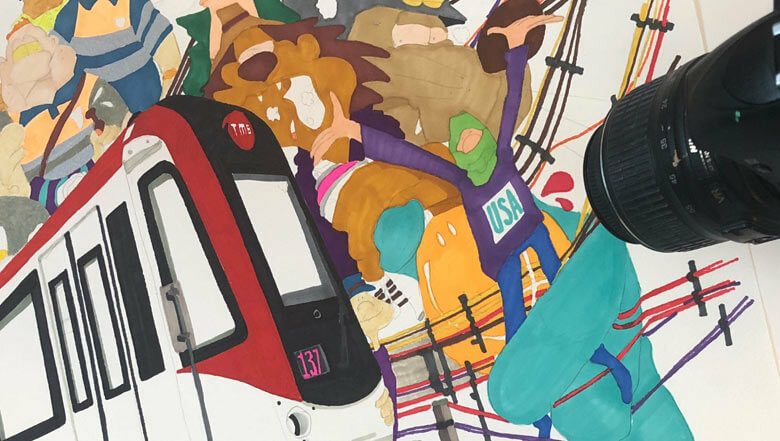 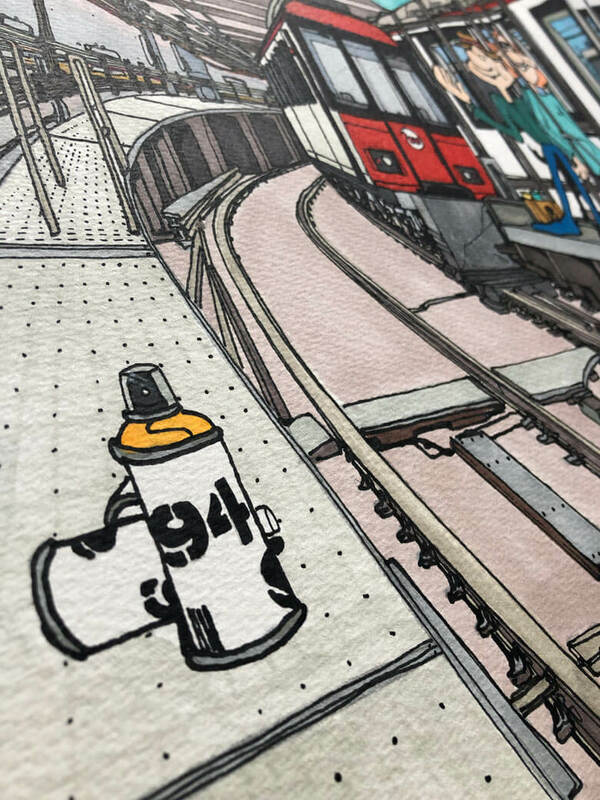 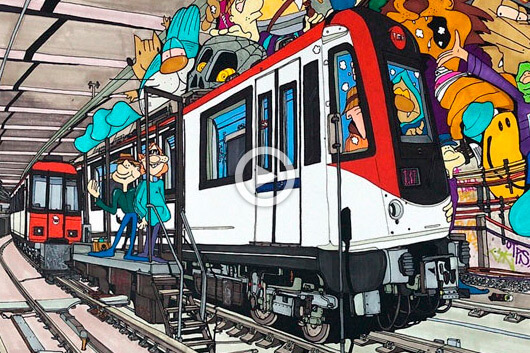 In it, the local metro is portrayed featuring endless details and references from the city, ranging from 94 spray cans to Cobi, and even tags by the TSK and OTP crews. 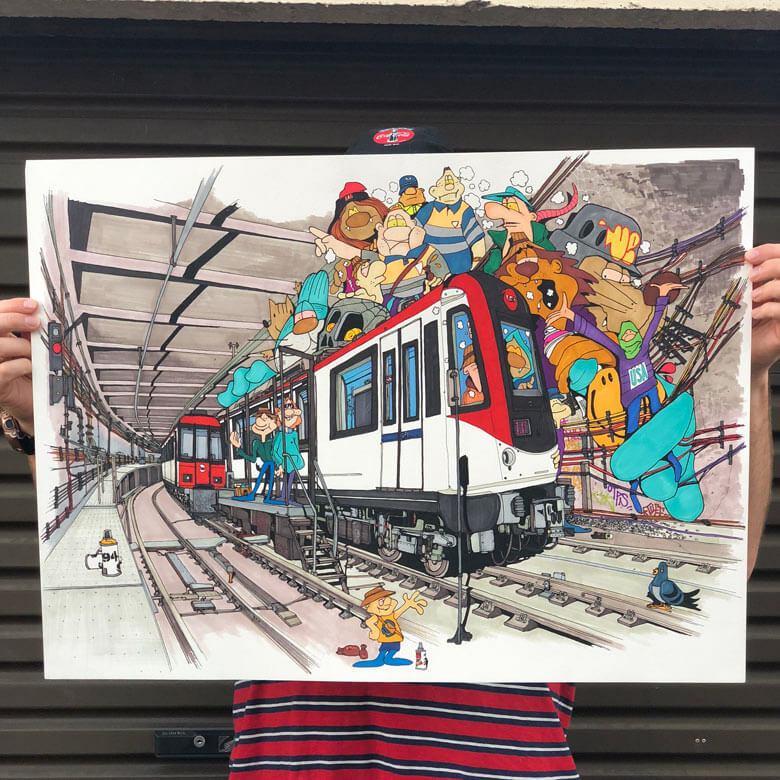 It’s all executed in the fun, recognizable comic style that Vents137 uses in his illustrative work. 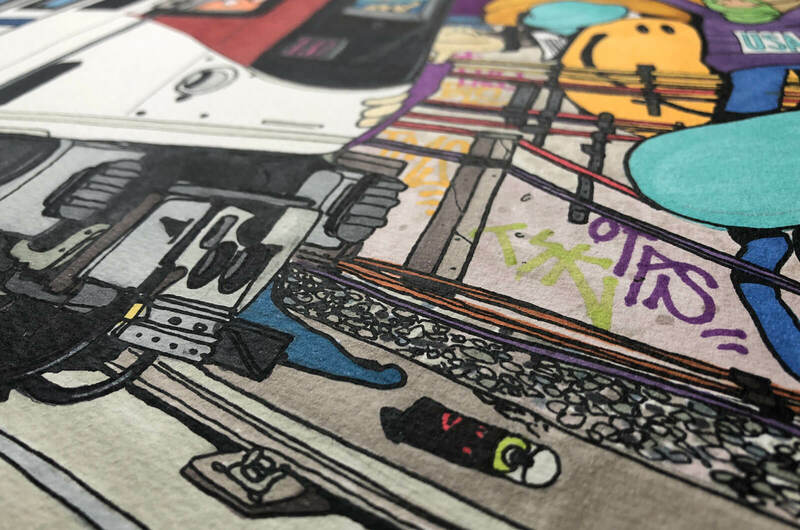 Last summer we introduced you to Vents137 via a post dedicated to three graffiti writers who shared the same name. 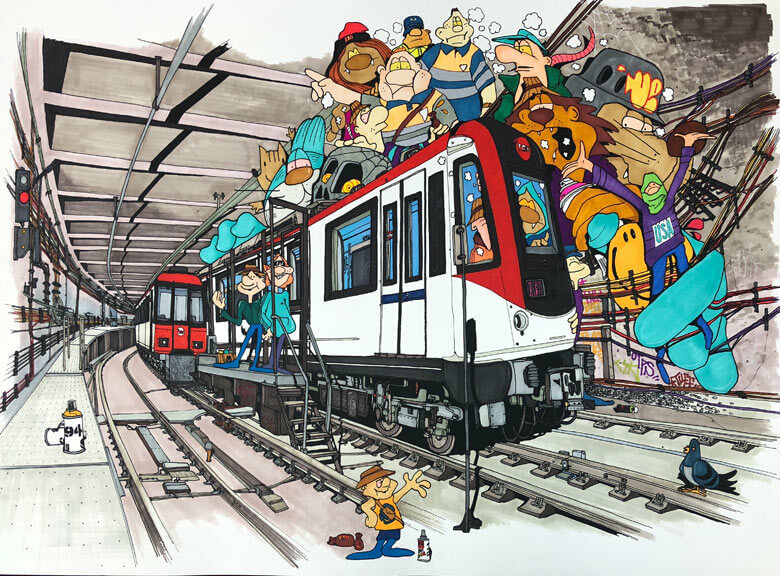 This Christmas, the British artist has presented us with a video recording the process of this work on paper titled, “Barca”, a title that undoubtedly jokes about the expression used by many tourists to refer to the city, due to the confusion caused by the abbreviated name of the Barcelona Futbol Club, “Barça”. 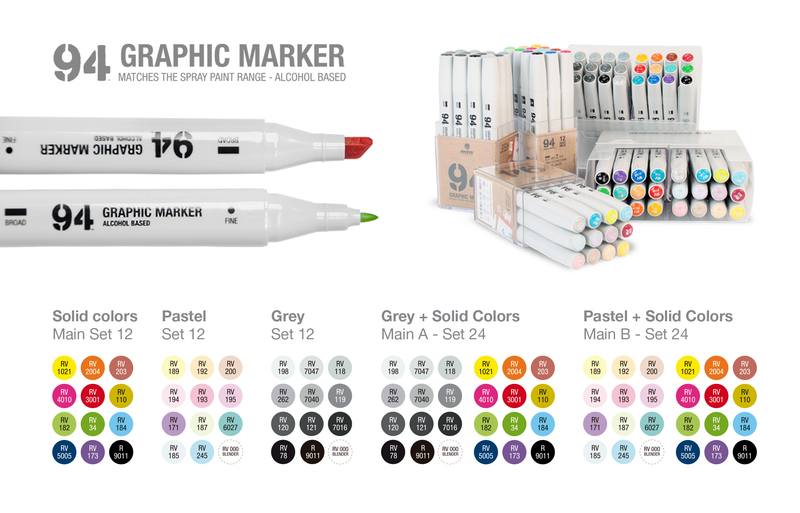 The video also serves as a way to observe the performance and useful character of various MTN marker models, such as the 94 Graphic Markers or the Water Based Markers and their varying tip types.